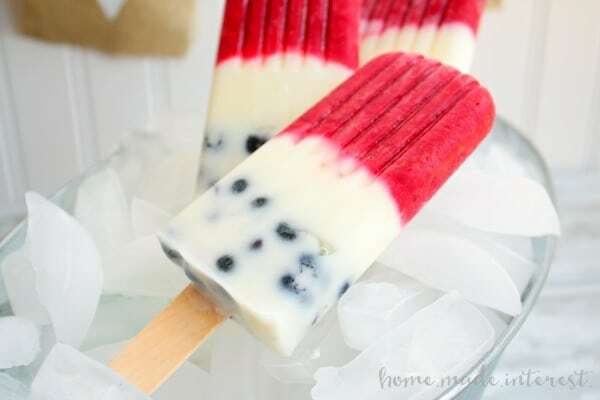 Red White and Blue Popsicles - Home. Made. Interest. 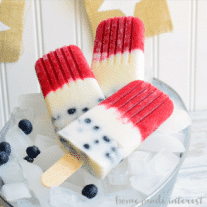 These Red White and Blue Popsicles are made fresh summer fruit, raspberries & blueberries, for a delicious, cool dessert for Memorial Day, 4th of July, or Labor Day! Yay! Summer is officially here! I know the “official” start of summer is sometime in June but as far as I’m concerned Memorial Day signifies the beginning of summer. The pool opens up, everyone pulls the covers off of their grills and starts cooking ribs, and burgers, and sausages…ok I’m getting hungry. Anyways, my point is summer is here and we are more than ready for it! Of course kicking off summer isn’t what Memorial Day is really about. It is a time to show our thanks and appreciate to those that serve in the the armed forces. We have several family members that are currently serving or have served so we know how much they and their families sacrifice to protect our freedom. We are grateful for all that they do ! 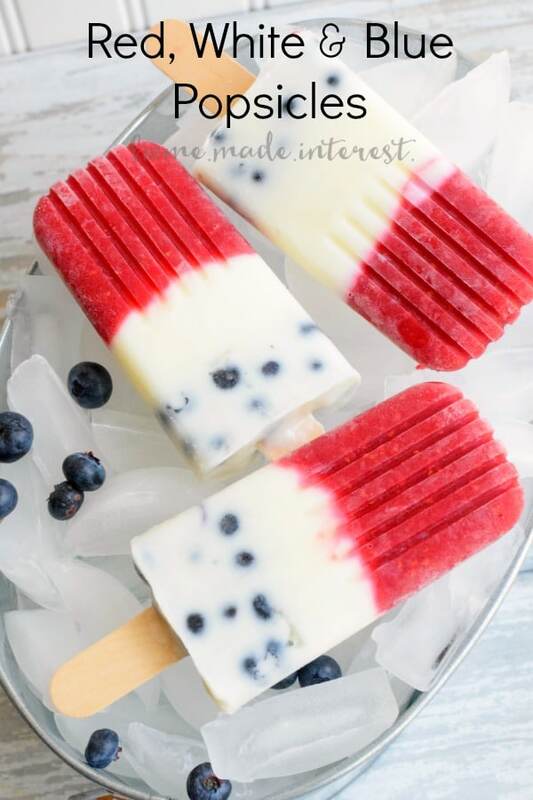 With Memorial Day, 4th of July, and Labor Day all coming up over the next few months we made these simple patriotic popsicles that will be perfect for all of your BBQs, picnics, and days spent laying out around the pool. They are made with fresh summer berries and yogurt so they aren’t full of sugar like store bought popsicles. They are a great guilt free snack that will keep you and the kids cool this summer :). Kids and adults will love these all natural, fruit and yogurt popsicles at all of your summer parties. Pour raspberry puree into popsicle molds. Next layer yogurt in the popsicle molds. Last, mix blueberries with yogurt and add them to the popsicle molds. 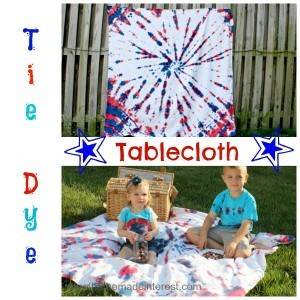 Here’s a few more fun ideas for 4th of July celebrations! these look so yummy, pretty I might add! Heading over now to get the recipe!! Thanks for sharing theses! I love these! So festive! These are so pretty. I love them for the Fourth of July and all summer! I found you at #foodiefriDIY. Nice to meet you! These look delicious, super juicy and perfect for summer. So cute! My kids would go crazy for these! Those look SO good on a hot summer day! Oh, these are fun! And I love that even though I am late to finding these, I can PIN this post and use it on 4th of July. 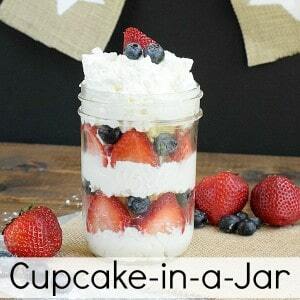 A nice healthy fourth of July snack the kids will love, Pinning for later! Yum these remind me of the bomb pops we would eat when we were little – found you at Thursday Favorites! These look awesome, ladies!! Featuring them tomorrow!